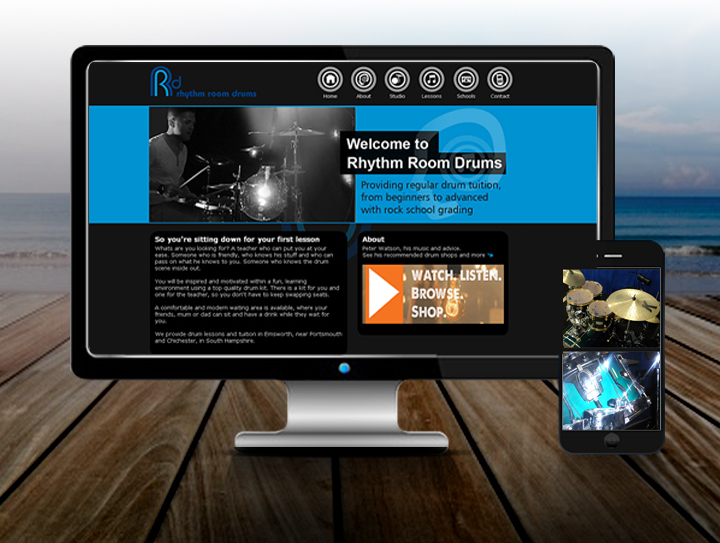 Rhythm Room Drums is a local drum tuition studio in Emsworth. Peter Watson came to us in order to have a website promoting his Studio. Ebb and Flow Creative gave this website a very contemporary look and designed it solely for a pc. The SEO was implemented early on, so when typing “drum tuition” “Chichester” or “Emsworth”, this comes up as number 5 on page 1. The next step for this project is to make this site responsive for a mobile and tablet.